Night shift: plump & glow while you sleep. 6X-Hyaluronic Acid night cream works overtime while you snooze, power-boosting the results of your at-home Fillerina® Replenishing Treatment for the line-free, volumized skin of your youth. · Ultra-moisturizing daily cream features a patented blend of six different sizes of Hyaluronic Acid molecules that travel to different layers of the skin to fill lines and wrinkles and replenish lost Hyaluronic Acid (what gives skin its plumpness). 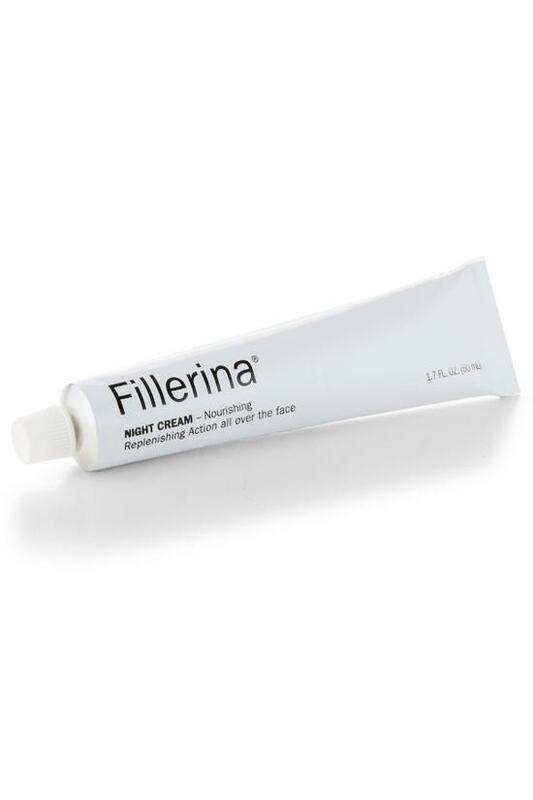 · Night Cream and Fillerina® Day Cream (07971) are great solo anti-agers, but deliver even more powerful Hyaluronic Acid building and plumping when used following the completion of the more-intensive Fillerina® Replenishing Treatment (07970) 2-week regimen.